The Seattle waterfront hasn’t seen this much action and change since the Klondike Gold Rush. 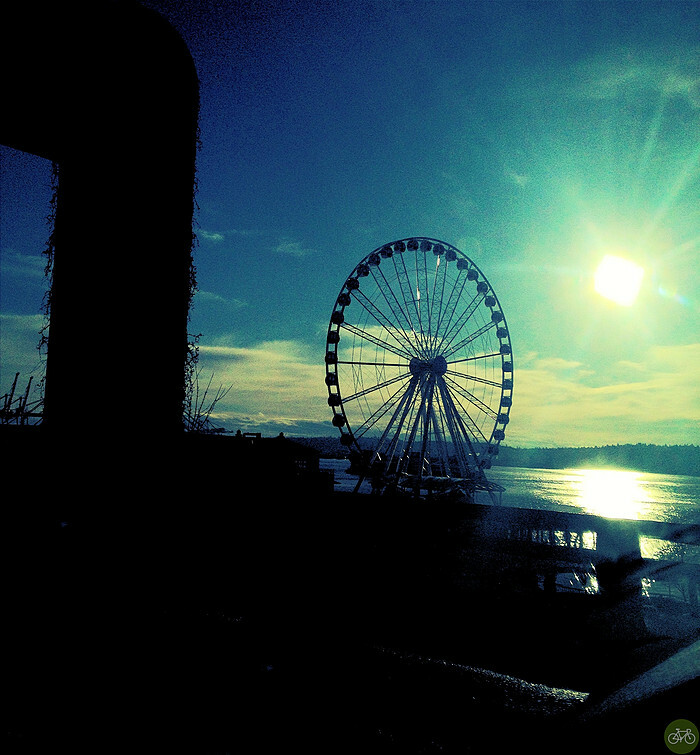 The seawall is being rebuilt, a giant tunnel bored, and a Great Wheel turns in tempo. Equidistant to points right and left are cyclists that ride Alaskan Way daily. They’re at the hub of the City, where it was born and continues to thrive. Outside of shiny metal boxes with a close-up street view, they witness, brave the construction. Just north, at the University of Washington, the Urban Bike Symposium has convened and I’m hosting a panel about bike culture. The timing of the symposium coincided with the launch of our magazine. In the next issue, we’ll cover the State of Urban Cycling. What we’ve seen in 7 years covering it and where it’s going. Ed. note: After a good run of 42 issues, our magazine app is no longer available, but we’ve archived the content here on our blog.